Buying a new car can seem like an overwhelming process, but it doesn’t have to be! Our Madison Area Hyundai dealer has lots of experience helping customers through the buying process, so we’ve decided to share what you should expect to help the process move faster. Being prepared can never hurt, and that means having the right documents when buying a car. When you have all the necessary items to fill out paperwork, that means you won’t have any interruptions stopping you from getting your ideal Hyundai. Buying a car takes some time for several reasons, from the sometimes lengthy explanations of the car’s functions, to the financing and registering of the vehicle. Being prepared before you enter our Madison area dealership can also meaning applying for financing with our helpful online tool to save time and to be sure that you have a plan for your vehicle. It’s also important to call ahead of time to ask what forms of payment they accept. Bringing the right documents can save a lot of time as well. The documents you need to bring include payment, which can be in the form of a cashier’s check, a personal check, a credit card payment, or whatever the dealer accepts. You should also bring your driver’s license, proof of car insurance, and any rebate eligibility documents. If you are trading in your car for a new one, you’ll also want to bring the title for your trade-in vehicle, your current vehicle’s registration for the trade-in, and the account number for your trade-in’s loan. 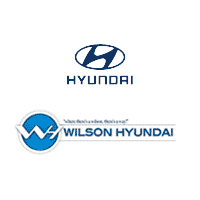 For more information on which documents you need to bring with you to our Hyundai dealership, contact us at Wilson Hyundai today!